All at RAW are delighted to welcome a new Principal Scientist, Dr. Anil Waduge, to the team. Anil brings many years’ valuable experience in the geo-environmental sector, including geo-environmental and remediation roles in consultancy, contracting and regulatory positions. 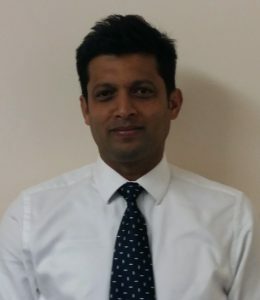 Anil is based in our Ely office, and will be joining our technical team, bringing considerable expertise in contaminant hydrogeology, risk assessment and remediation. Anil’s role at RAW will include providing technical expertise, advice and support, both internally to our project teams and directly to our Clients, specifically with respect to groundwater contamination issues and risk assessment. Welcome to RAW Anil, we look forward to working with you!